BlueBlast is an ultra-concentrated floor cleaning detergent that is extremely efficient at degreasing and removing tire marks. No pre-spray is necessary on tire marks with this powerful formula. Just one half of a one quart bottle is enough for a 30-gallon solution tank on your floor scrubber. 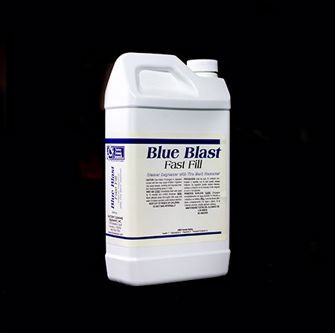 Being US EPA Certified, BlueBlast was designed with the environment in mind.